Ivilina Kouneva is a Bulgarian-born artist who is currently part of Reading’s Open Hand Open Spacestudio community. 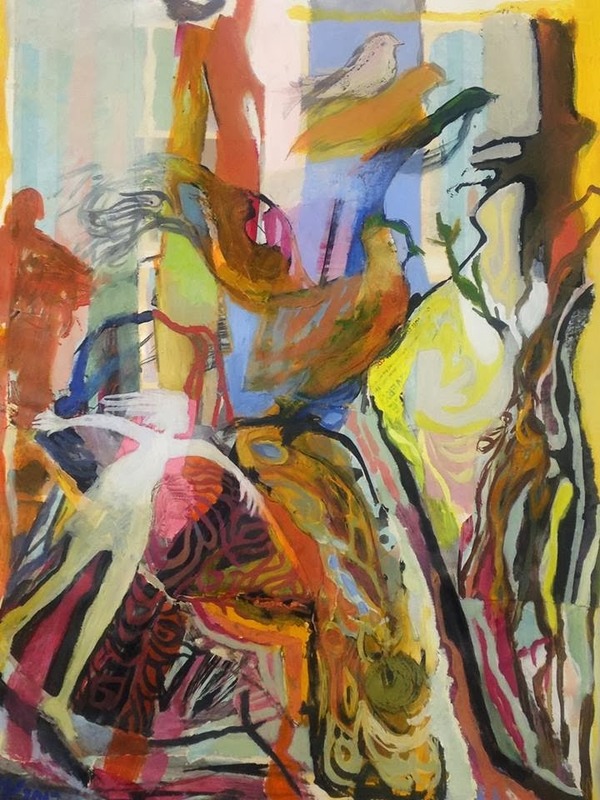 Her work is fluid and alive with colour, full of seemingly moving figures, who appear and disappear, depending on the position and angle of the observer. Three of Ivilina’s large mixed media works on canvas are shown below, and I hope illustrate this effect. …Or perhaps the act of observing them changes our perception. Art copies life, life copies art, and eternity peeks in between them. Realising that, in the end, the places we have visited will never be the same, but will continue to exist as illusionary worlds in us. I think there is no ‘bad’ artwork, but only boring. My Works: They tell stories. Sometimes one may need time to decode them. Different layers inspired by real and unreal and created with imagination comprise the fragile balances of the complicated compositions. What does better represent the world we live in than fragile and changeable? My works are about the adventures we undertake, the invisible doors we open, the stories we create and the emotional reconnection of the environment with our feelings and experience. Process of working: Paste it don’t bin it, please. Discarded drawings and paintings, as long as they provoke new ideas and compositions are always welcomed. I usually build a colourful and rich background with different textures. I may use hand pulled mono prints, scratches, graffiti type of images, fresco techniques till gradually a figure or an object emerges. 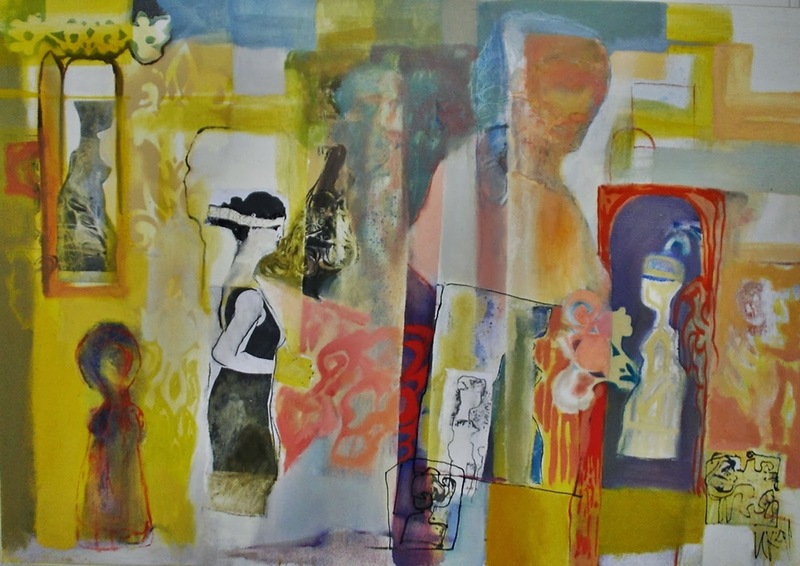 The variety of techniques and the “rough” collage texture give an inevitable sense of the contemporary 21st century world –more representational than any realistic copy. Light and Space: Whatever I draw or paint, I always “chase” the Light. The Glorious light which deconstruct the objects and shape new spaces. Colour: When I was 5, I was told by my firs Art teacher at my first Art courses, that I may paint the hair red and the face green as long as I see the person this way. That is how a very young expressionist was born. Much later, in the university, in the painting department of the Fine Arts Faculty I learned how to “sculpture” objects and figures with colour. However, I have always kept my strong urge to add “my touch” and splash more colour to the traditional etude. After four years of devoted everyday live painting and drawing when we explored to death every opportunity of the lying sitting and standing figure I moved away. I gradually built my own style – a truly good student of my first teacher, a really creative artist.